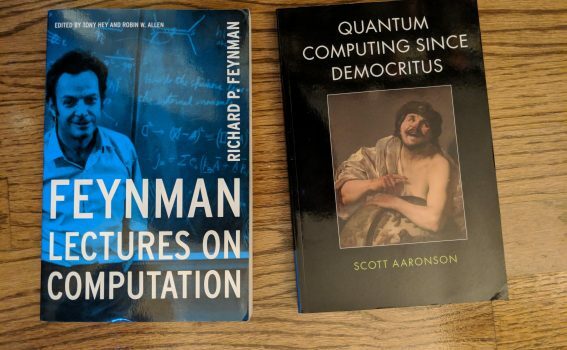 On a previous post, https://lnkd.in/eiWU_gU I talked about the exceptional book from Scott Aaronson “Quantum Computing Since Democritus” which is a must-read for every computer scientist. A lot of smart people that I know (like Anima Anandkumar, Alex Dimakis, Javier Echauz) are big fans of his work and his blog. If you don’t have time to read the book, you should at least read his legendary article “Who can name the Bigger Number?” https://lnkd.in/edpe_PV Here is another view of the same problem https://lnkd.in/edJfRsm Now you might wonder why we care that much about finding big numbers and how is this related to artificial intelligence. You should read the article and you will understand. Deep learning is great, but if you are looking answers to AI I contest you will not find them there. The article that I posted will give you more inspiration.